Learn secret strategies to get in front of your prospects, with results. Your prospects will be contacting you, long before they even find your competitor's profile. ★ You, your products, or your services will leap in front of other LinkedIn users. Hi, I'm Loribeth Pierson. I am blessed to live in Sunny San Diego, California and very fortunate to have had the time and dedication to learn to "Speak LinkedIn”. Over the years, I have had the privilege to teach over 1000 people in 76 countries, how to use LinkedIn to generate leads, sell services and land jobs. I Rank in... the Top 1% of most viewed LinkedIn Profiles... and for a good reason. 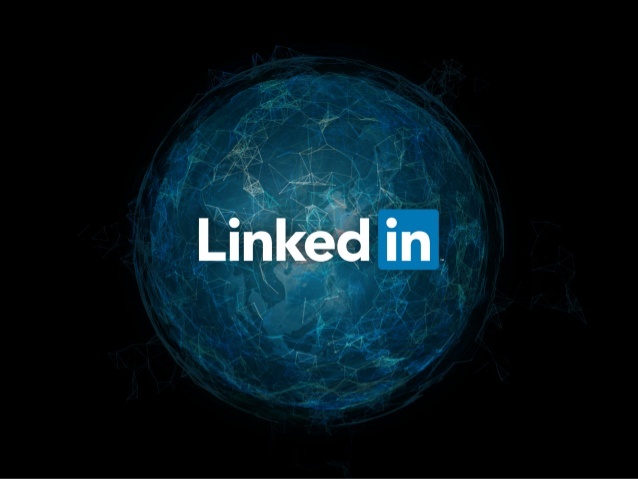 LinkedIn is forever changing; I continuously monitor and study those changes to show my clients how to extract, manipulate and produce maximum profitability and lead generation. Years ago LinkedIn’s primary use was to display a resume in hopes of landing a job. Times have changed! A friend mentioned that I try LinkedIn thus began my obsession with LinkedIn. If it could help me find a realtor in another state, what else could it be used for? In my case, to launch a new business. When my brother and I launched our business, I watched many LinkedIn training videos and thought Wow, LinkedIn could really help me to reach my goal" (and it did). Fast forward to now. Armed with years of trial and error, volumes of LinkedIn Tips, shortcuts and methods that raise my clients above their competition, I now teach people how to become successful with utilizing LinkedIn in the right way. It really isn't just for your resume. It's so much more! Press Full-Screen button on the far right bottom to view bigger once you start this video. Did you know that over 80% of leads generated through social media for B2B marketers come from LinkedIn? If your B2B business is going to be on social media, LinkedIn should be your priority. You will learn inside secrets to be found by your unique keywords and have people know, like and trust you. Learn how to create you own cheat sheet to follow along every day with a plan. Learn how to post on LinkedIn Pulse to get more leads, clients and to brand yourself. Learn how to join and leverage the right groups. Learn how to become the Top 1% viewed Profile in your network. Learn how to create a Rock-Star professional LinkedIn profile in about 2 Hours...literally. This course is for Coaches, B2B marketers, business owners, sales professionals, marketing managers, speakers, authors, finance, CEO, CFO, entrepreneurs, network marketers and anybody who is looking to leverage LinkedIn for marketing and sales objectives. You will have fun while learning the magic secrets to grow your business and connections. You will need to set aside some time each day to answer all your emails you will receive after implementing this course. SECTION 1: Hello and Welcome! Please Start Here First. Hello and Welcome To This Awesome Course! Why LinkedIn and Why it Matters so Much. How To Turn OFF Notify Your Network- Do this first! A little fun to help you pick the perfect profile photo! Upload your (Smile) Photo add your name and credentials. SECTION 5: Understand Your LinkedIn Profile & Setting up Your Foundation..
No more bcc options in LinkedIn be very careful! Bonus - A little help from your keyboard. SECTION 11: Should I Have a Paid LinkedIn Account? Should I have a Free or Premium Account ? SECTION 12: Did you know LinkedIn offers a free 1-Year premium 'Job Seeker' account upgrade to military veterans? Go completely anonymous In searches-Stalker mode! How To Export Your LinkedIn Connections. Grab Your SSI Score From LinkedIn - How You Rank? SECTION 15: How To Create Your Company Page And Why. SECTION 16: How To Follow The Right Companies and Influencers. SECTION 17: How To Join and Create The Right Groups. What is a Lion or Open Networker? Should I become one? SECTION 18: The Secret Weapon -The Magic Genie To Help You Succeed! SECTION 21: Company Pages and Why You Need One! Coming Soon Company Pages and Why You Need One! Remember your order is backed by a 30-Day 100% Money Back Guarantee Policy. If for whatever reason you're not satisfied with your order, simply contact us and request a refund.